This campground offers everything you need for a relaxing and private getaway, with immediate access to walking tracks and a dramatic waterfall. Booking are not available. For information, contact NPWS on (02) 4320 4203. 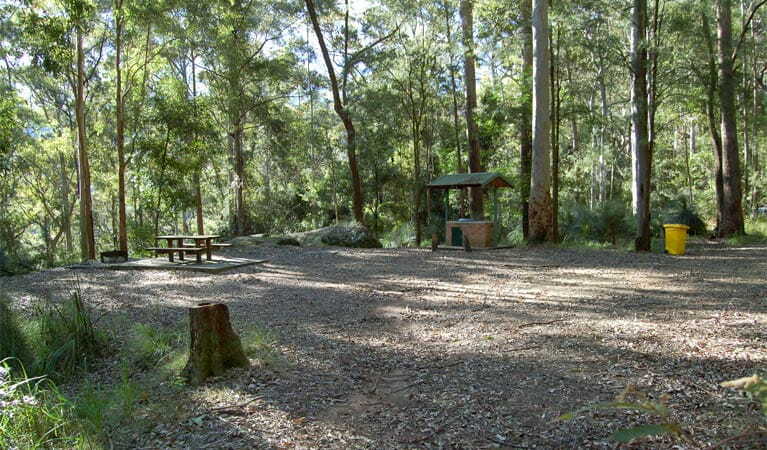 Campsites at Gap Creek campground are not suitable for large groups. This is a remote campground, so please make sure you arrive well prepared. 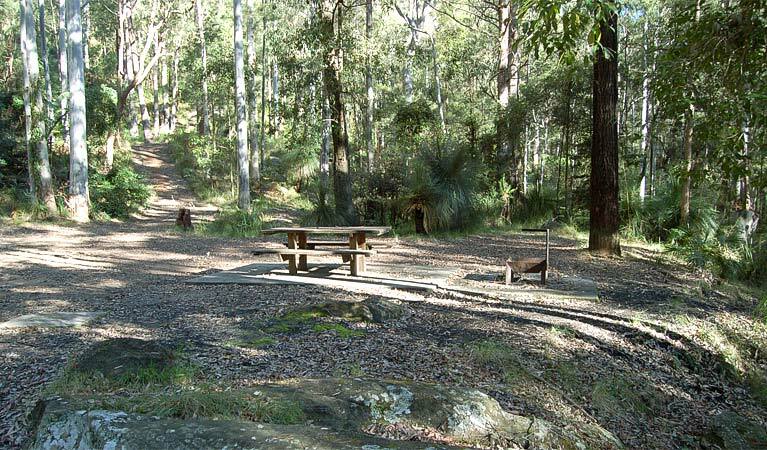 Gap Creek campground is perfect for families and adventure travellers alike. The natural setting is outstanding, with colourful plant life, like red cedars and blue gums, coupled with amazing birdlife like lyrebirds as your backdrop. It’s impossible not to feel relaxed here, particularly in late summer when the rainforest is cool and quiet. For something truly spectacular, the Gap Creek walking track can be traced to the impressive Gap Creek waterfall, cascading more than 40m after heavy rains – so don’t forget your camera. Afterwards, head back to the campground for a barbecue and maybe a game of cricket. The trees provide plenty of shade for that afternoon nap to wind down after an adventurous day. 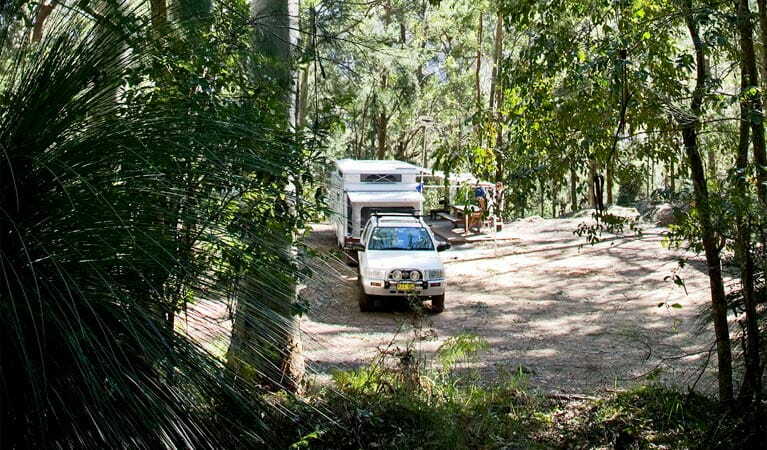 Alternative camping spots can be found at Bangalow campground, an easy 1km down the road. Monday to Friday, 8.30am to 4pm. 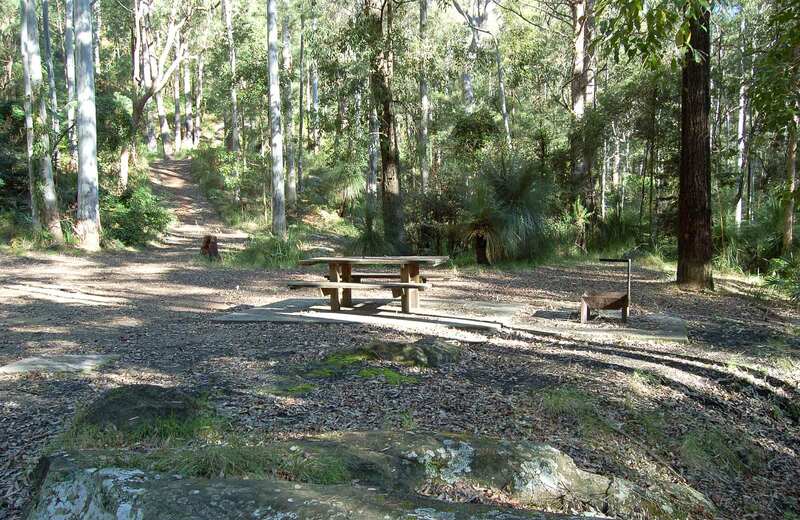 Watagans National Park is always open, but may have to close at times due to poor weather, roads closures or high fire danger. Contact hours: Monday to Friday, 8.30am to 4pm. Contact hours: Monday to Friday, hours vary.